Last month I created a meatball recipe that mimicked the taste of gyro meat in the post My Gyro Obsession and The Meatball Solution. Well I have taken the same principles and applied them to meatloaf for even better results. This is the best tasting meatloaf I’ve ever had. It tastes like just gyro meat. Summary: A meatloaf that tastes like gyro meat. In a large bowl mix every ingredient together thoroughly. Place mix into a baking pan. I like the larger Pyrex baking dishes. Test internal temperature for 160 degrees. I’ve made this recipe using all ground beef and it tastes great that way as well. To make it even better, add some Tzatziki Sauce. Feta cheese and tomatoes too! Previous Great News, Meat is Going to Kill You! Sounds delish! Try mixing in a little grass-fed beef liver next time and get a nice hit of Vitamin D. That’s how I consume it…in meatloaf! @Mark – Good idea. I used to do that before I developed a taste for beef liver by itself. This is somewhat unrelated but it is about healthy food. Apparently Starbucks has a pilot store called Evolution that serves juice drinks in Bellevue, WA. You write very well-written and unbiased opinions of coffee shops, I was wondering if reviewing this place is in the cards. @Thomas – Yeah, I saw that Melissa Allison from the Seattle Times wrote a story about that juice place. I am not a juice drinker. I think slamming liquid fructose is hell on your liver, so I have zero interest in visiting the store. Thanks for the nice words. Awesome recipe 🙂 I’m a big fan. 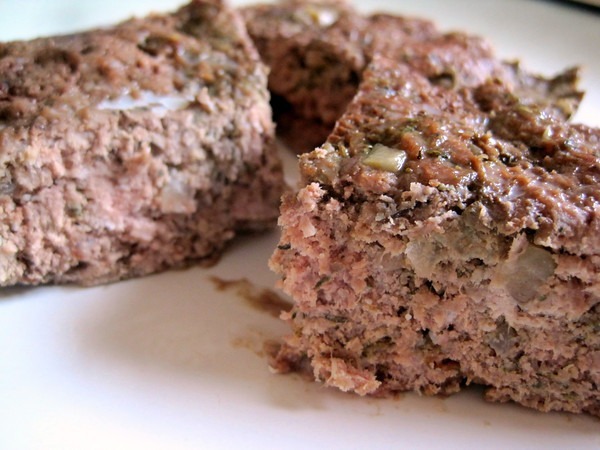 Here’s a tasty meatloaf recipe you might like to try. @Sara – I tried something similar to that recently, only I swapped out the breadcrumbs for Potato buds to kept it gluten free. Plus it had ginger and jalapenos. Pretty good.